This guideline is meant to provide a standardized basis for acceptance and operating tests of air-cooled water steam condensers. Its scope of application is limited to the testing of the condenser itself and the exhaust steam duct up to the terminal point of supply. While the cooling air fans are considered part of the condenser assembly, auxiliary units like the air removal equipment and condensate pumps are not included. 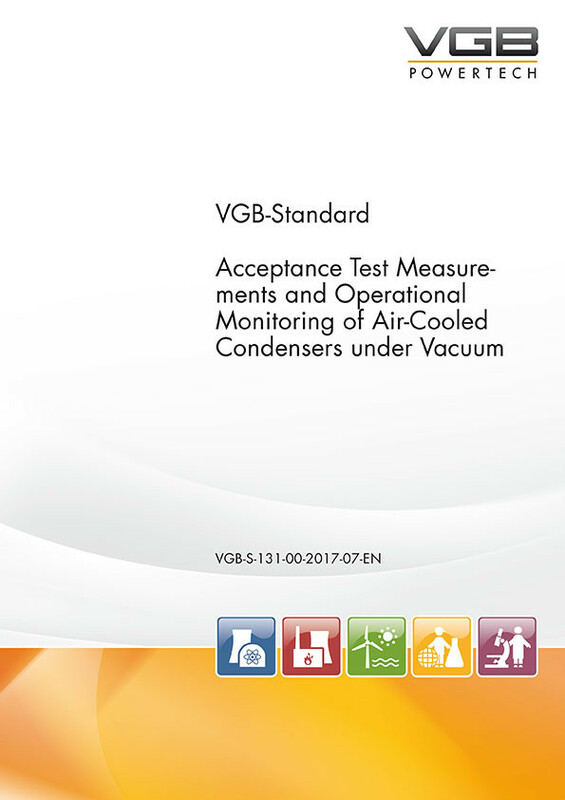 In addition to the correction of some orthographic and presentation errors, the revision of the guideline included in particular a review with regard to the appropriateness of the required prerequisites for acceptance test and control measurements as well as an update to the advanced state of the art. The necessary measuring equipment has been specified more precisely. Separate tables for acceptance test measurements and operational monitoring show the appropriate measuring instruments and their uncertainty of measurement. Condensate temperature measurement is discussed in more detail. A simplified air leakage test is described for checking the air removal. For acceptance test measurements, at least 3 consecutive measurement periods must be evaluated for each operating point. The example given for the evaluation of the measurements and the comparison with the guaranteed performance values has been revised and supplemented accordingly.